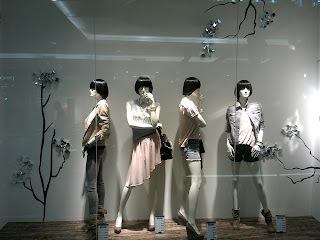 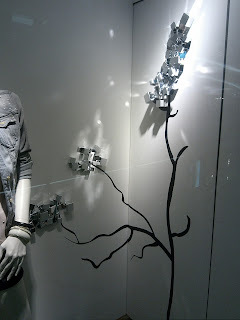 Stradivarius latest display for Fall/Winter 2012 featuring two kinds of arrangement. 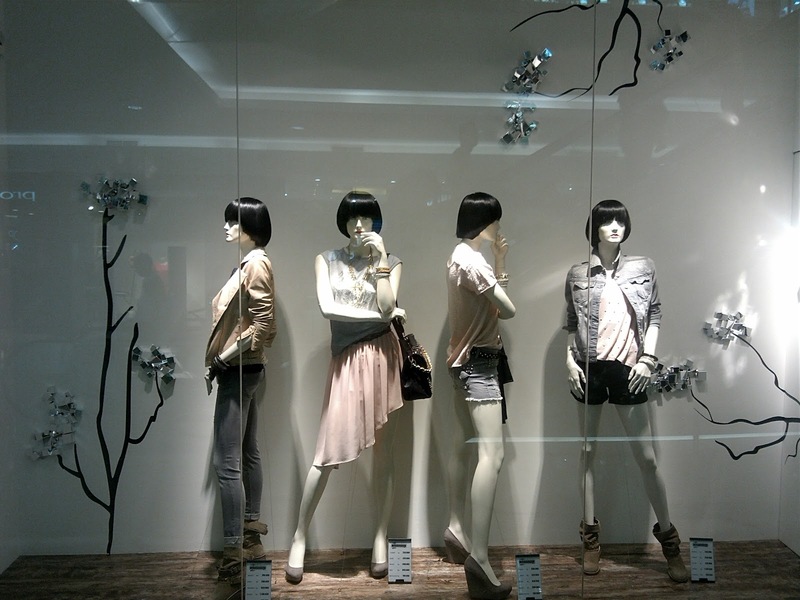 The first is steel plants that are growing on the wall behind the mannequins. 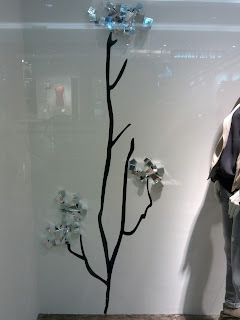 This concept might look like the previous Spring/Summer 2012 display but now the flowers look more futuristic rather than natural. 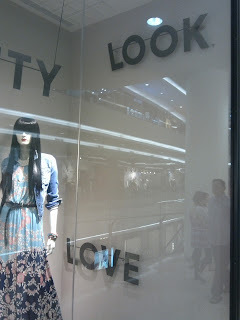 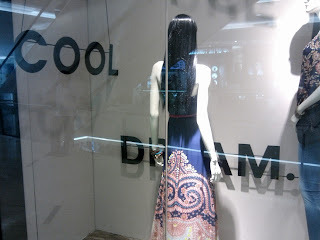 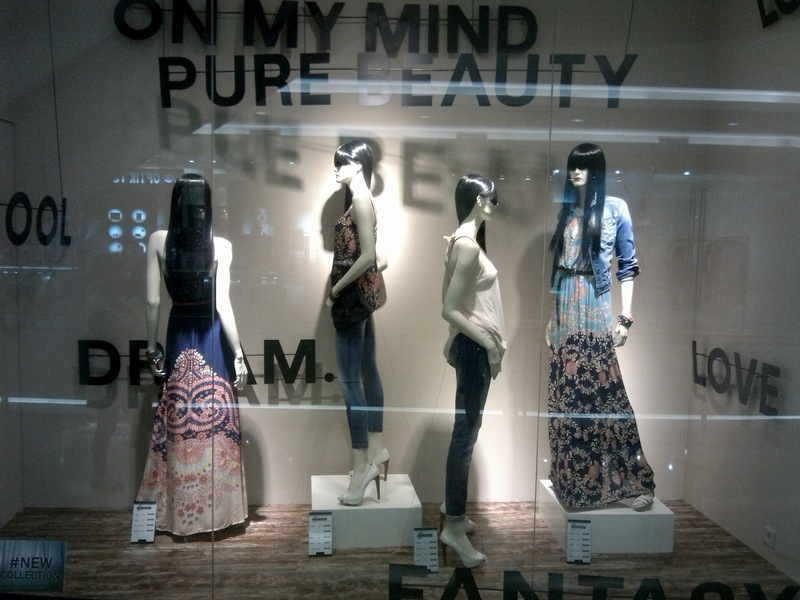 The other display is decorated with some words like 'COOL', 'DREAM', 'FANTASY', and some others.